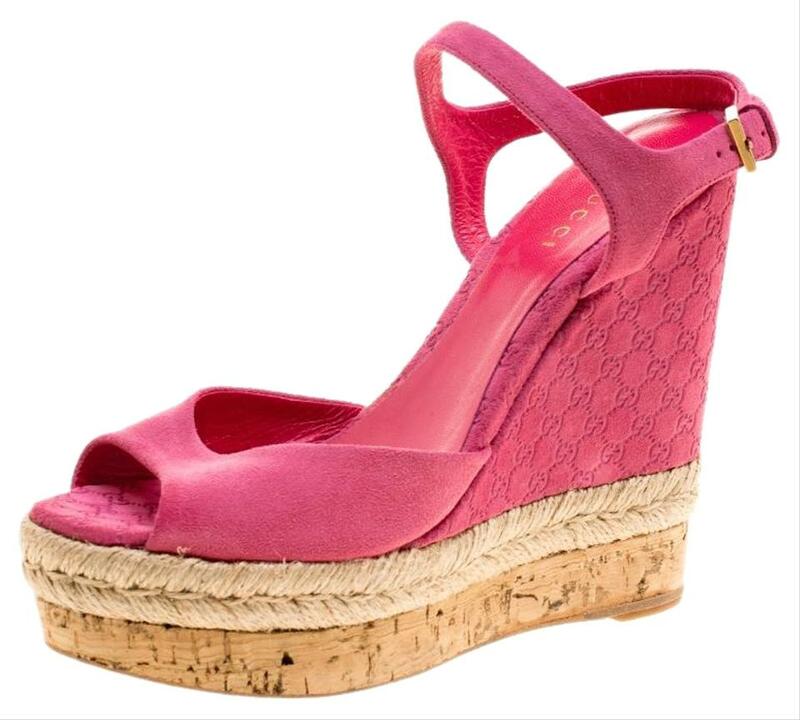 These sandals from Gucci are bearers of a fine mix of shoe craftsmanship and style. 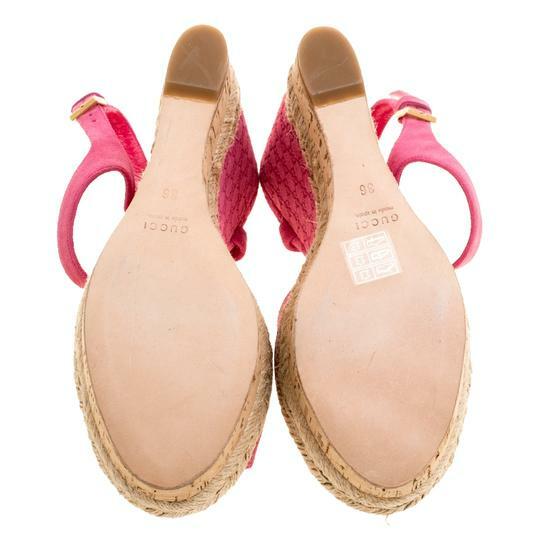 The leather sandals carry a superb design of front straps, ankle fastenings and Guccissima wedges beautified with espadrille detailing and cork inserts. The pink sandals are just ideal for your casual fashion.